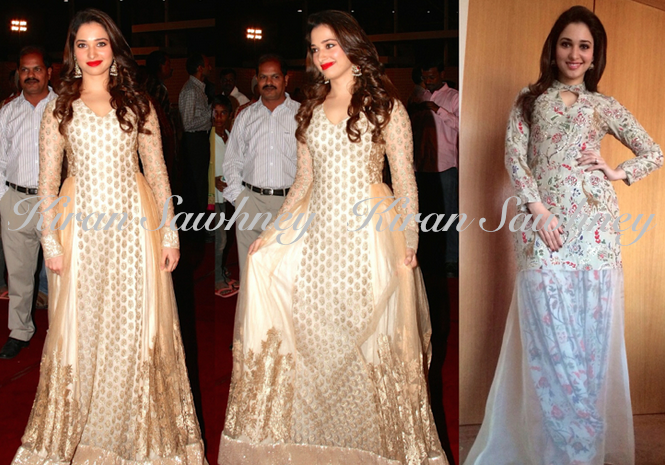 Tamannaah wore a heavily embroidered anarkali at Rajiv Reddy- Kavya wedding reception. Her finishing touches were red lips and curled hair. At another event, at LOT mobile store launch, she wore a Payal Singhal suit which had a sheer lower body. Both the outfits seemed appropriate to the respective events. But we like Payal Singhal outfit more.